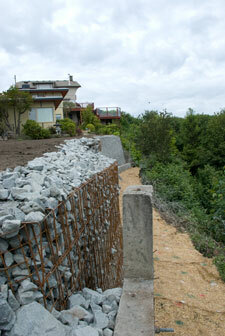 NW Civil completed construction of this design-build slope improvement and wall replacement project in June. 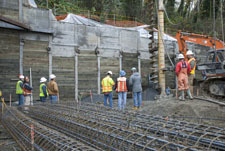 The project is located along the Puget Sound bluff in Tacoma, Washington. 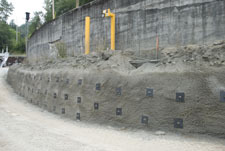 A combination of soil nailing, reticulated micopiles, and MSE walls were used to stabilize the existing slope and gravity walls. 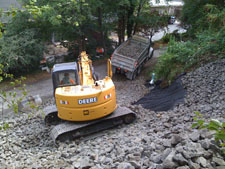 NW Civil is a full service engineering firm and general contractor combined under one seamless small business entity. Founded with the specific purpose of providing complete turnkey design-build solutions, NWC has performed many successful design-build projects for both private and public sector clients throughout the Pacific Northwest. 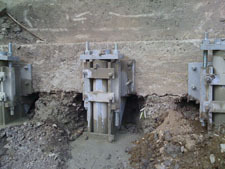 We specialize in design-build projects within the civil, environmental, and geotechnical fields. Our staff is made up of talented professionals with a passion for performing turnkey projects that test both our design innovation and construction abilities. We truly believe that this passion for both engineering and construction gives us the unique ability to provide exceptional value and quality to our clients.